I had the chance to get out in a boat fishing with my daughter and my good friend (Uncle) Steve yesterday. Sarah bought herself a fishing license a couple of months ago and has only used it once this season, so was antsy to get out at least once more before she went away to Minnesota. All it took was one conversation with Steve and I knew it would happen. We went out to our favorite lake (Hey, I ain't no fool) and got to the launch at 6:00 AM. After about 20 minutes I had a Northern Pike on the line. It turned out to be small, but as always, it's nice to get that first one out of the way. Over then next hour and a half, Steve and I managed to get a half dozen fish in the boat. Sarah had only one and it shook the hook well before the boat and got away. Now, I know my daughter. She is fairly competitive and LOVES to catch fish, and I knew she was starting to get frustrated. Eventually she stopped trying and just sat and smoldered. After a few minutes and a bit of encouragement from Steve and I, she started trying again. 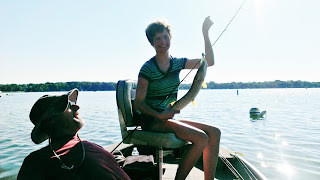 Within a few casts, she had a Northern Pike on the line. It was a nice one too. (Turns out it was the biggest one of the day at 23" and tied her personal best). Her whole demeanor changed for the better. Within 5 minutes of that fish, she caught another smaller Pike. Then another one shook the hook and got off. She was on a roll. Well, she finished out the day with catching a 15" Largemouth Bass that completed her catch. A day that could have been a big disappointment turned into one of the better fishing days in her recent past. Not to mention that I got to spend some serious quality time laughing with her and talking about her coming school year, etc. I realized how lucky I am to have a daughter that loves the outdoors. She even talked a bit about how she'd like to have a "getaway wedding" someday at a resort up near the Boundary Waters Canoe Area. I can't say I have any arguments against that plan. A wedding with a fish fry! Anyway, I got to looking back on my fishing experiences this past summer and I realized it's been quite a summer. Here are a few other highlights. In the BWCA, I got to watch my niece Alison catch a fish that turned out to be her personal best, a 28" Northern. It's always cool to see my nieces catch fish, but a personal best is a real treat. On that same trip, my son Ben caught his largest northern, as well. I didn't get to see it, as he was with his cousin in a separate canoe, which is cool in it's own right. Fun to know that my brother and I have raised them capably enough to manuever a canoe and catch fish at the age of 16 and, more importantly, that they WANT to do it. I got to take my friend Brandon's son (6) and daughter (4) out fishing at a local park. They had a blast and I seem to have succeeded in passing my fear of Bullheads into them fairly clearly. 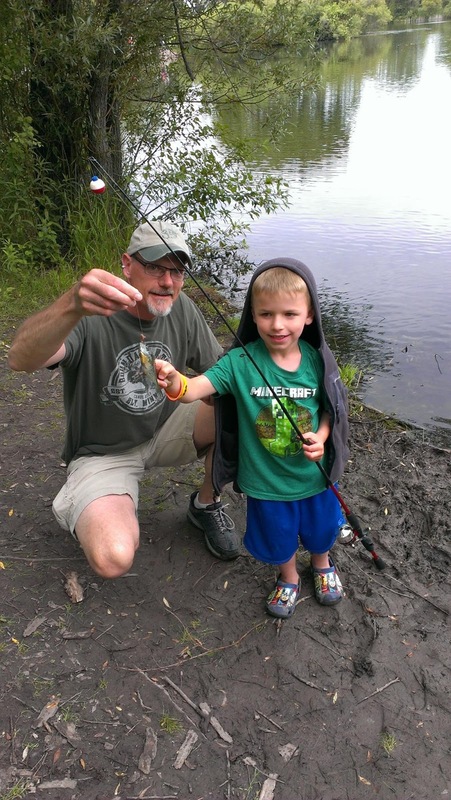 I love teaching kids that age how to fish. I got out kayak fishing once with another old friend who just bought a kayak in an effort to do more fishing. We had a good time and caught a dozen fish or so. My look back on the summer leaves some great memories for me. 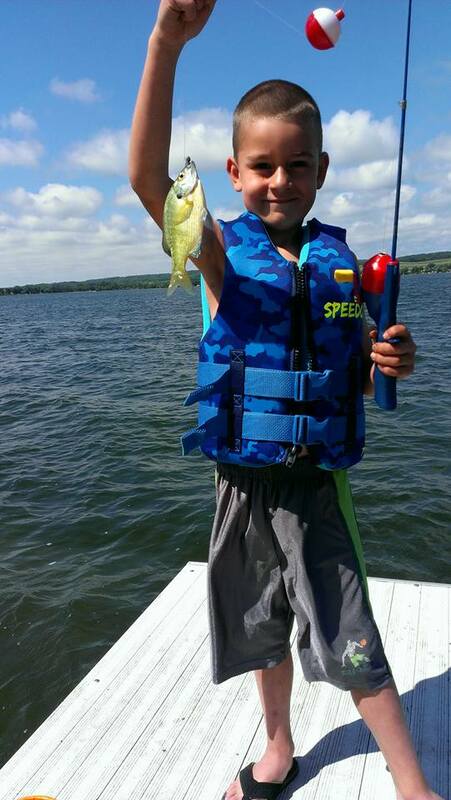 Fishing is the great equalizer in life. Everyone has the same opportunity at most points during an outing. A lot comes down to dumb luck. But what it does for me is it allows quality time to talk with people I love while doing something I love. Of course, lighthearted bragging and smack talk goes with the territory, but that's what makes it fun. So, like Steve, I plan to help as many people learn to fish in my retirement, as well. I may be the poorest retiree out there in my financial planner's eyes, but in my own eyes, I will be a rich man.